Shaadisaga, a Delhi based online wedding services marketplace, is taking the Indian wedding market by storm. This venture has recently closed an undisclosed amount of funding as a part of its Pre Series A round from ah! Ventures and other marquee investors. Industry stalwarts like Anupam Mittal (People Group), Kunal Shah & Sandeep Tandon (Freecharge.com), Dheeraj Jain (Redcliffe Capital), Rohit Chokhani (White Unicorn Ventures) along with other angel investors participated in this round. Gone are the days when a wedding was merely an event in a person’s life, acknowledging the change in the living. It is soon becoming a milestone that marks the grandeur celebration of new beginnings and with each passing year, the show is becoming all the more interesting. From the pre-wedding photo shoots to inviting the gambolling celebrities, the wedding industry has witnessed a drastic change in the recent past and this is nothing but music to the ears of entrepreneurs like Himanshu Kapsime and Manish Garg, co-founders of Shaadisaga. 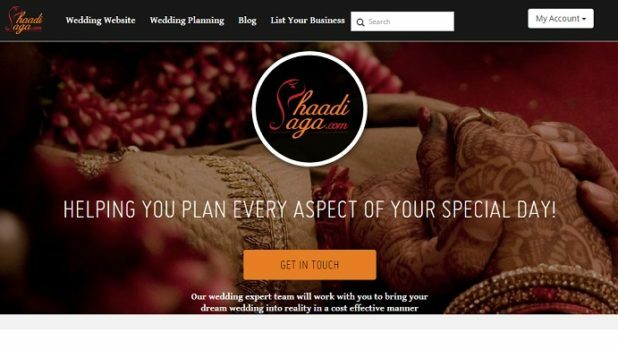 Shaadisaga, is an online platform that caters to the to-be-weds in terms of their wedding needs, focusing primarily on weddings ranging between INR 10 Lakhs to 1.5 crores. With the focus of being convenient and cost effective, Shaadisaga offers the couples and their families a host of wedding services, making itself a one stop shop solution for all the wedding needs. 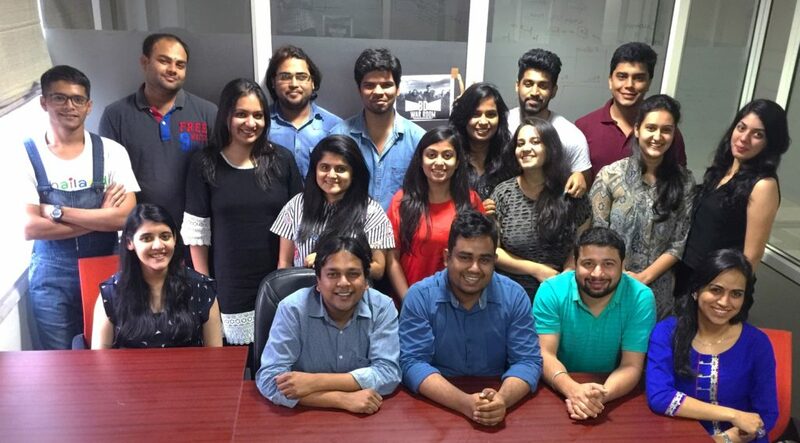 Started by Himanshu Kapsime and Manish Garg, IIT-Delhi graduates, Shaadisaga truly understands that today’s users expect high degrees of personalization and cross comparison is the key to conversions. With requirements being tailored at every step, the company, with a strong team of 25 employees, offers its users an option to choose from a pool of around 2500 best vendors, as per their requirements and hire them directly with price and quality assurance – The ShaadiSaga Seal of Trust. Shaadisaga is the brainchild of two IIT Delhi graduates, Himanshu Kapsime and Manish Garg. Himanshu Kapsime, the CEO and Co-Founder of the organization is a 2012 graduate with prior experience in working with a US based MNC. He is actively responsible for managing the technological and product development portfolio for the company. Manish Garg, the COO and Co-Founder of the organization is a 2011 graduate with prior experience in working with an Indian startup unicorn. Apart from the co-founders, the company has a workforce of 10 employees with a permanent set up in Delhi. The recent fund infusion will be utilized for increasing the base of partners associated with the platform and building technologies ensuring better customer experience, faster onboarding, smoother communication, and higher conversion rates. ah! Ventures is India’s first full-spectrum (seed, angel & VC) investment network and platform comprising of over 800+ investors, including some of the renowned angels and early-stage VCs. Founded in 2010, ah! Ventures has systematically disrupted the early stage funding ecosystem of India through its innovative approach toward startup investing. First of its kind initiatives like the CLUB ah! platform, ah! Angels (India’s largest angel network), ah! Seeders and ah! VC networks (India’s first seed & VC investment networks), have brought together and integrated the previously segregated startup funding lifecycle, under one roof. CLUB ah! platform today has over 12500+ startups, 725 seed/angel investors and over 85 VCs & institutional investors, making it one of the largest platform of investors and startups. The network also last year secured its first profitable exit from Ed-tech venture Harness Handitouch within 2 years of its investment. ah! Ventures has till date pumped in close to INR 90 crores in over 29 investments spread across varied industries and domains. ah! Ventures is in the process of closing another investment in the coming week. Started by Himanshu Kapsime and Manish Garg, IIT Delhi graduates, ShaadiSaga truly understands that today’s users expect high degree of personalization and trust for their wedding planning. ShaadiSaga is India’s fastest growing online portal that enable couples to conveniently plan their wedding through vendor discovery and planning advice from wedding experts and visual inspirations. Users can choose from a pool of over 6000 service providers from venue to makeup and hire vendors as per their individual requirement, with price and quality assurance. ShaadiSaga specialists are available to help couple at every step of the way. Previous articleHow To Decide Between LLP And Private Limited (Pvt. Ltd.) Company?